For online prediction of surveillance video, how to design a valid machine learning model is a challenging problem. To deal with the issue, a multilayer ELM with object principal trajectory has been proposed. In this scheme, in order to support dynamic semantic representation between adjacent frames, the temporal and spatial characteristics have been taken into consideration. And after calculated the coordinate distance by K-means algorithm, the objective regions can be separated at the pixel level. Then, the object moving trend is determined according to the principal trajectory of interest area. Finally, multilayer ELM is adopted to quantify the new shape characteristics. This deep neural network helps generate the new frame sequence enough to be true. The proposed method not only recognizes multiple objects with different movement directions, but also effectively identifies subtle semantic features. The whole forecasting process avoids the trial and error caused by user intervention, which makes the model suitable for online environment. Numerical experiments are conducted on two different kinds of surveillance video datasets. The result is shown that the proposed algorithm has better performance than other state-of-the-art methods. The work was supported by the National Key Research Project of China under Grant No. 2016YFB1001304, the National Natural Science Foundation of China under Grant 61572229, the JLUSTIRT High-level Innovation Team, and the Fundamental Research Funds for Central Universities under Grant No. 2017TD-19. 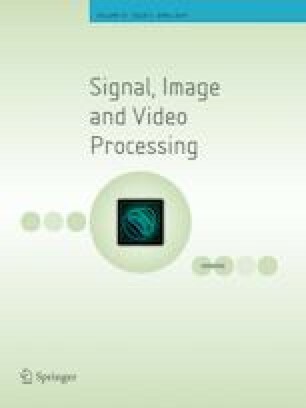 The authors gratefully acknowledge financial support from the Research Centre for Intelligent Signal Identification and Equipment, Jilin Province.